PARKER, Isaac N. 1870 Greenwich N.B. PAYSON, George B. 1870 Gagetown N.B. PECK, William was born in 1827 in England, New Connexion, 1851 Lansdowne, 1871 Crosby (Leeds Co.), 1877 Lansdowne (Leeds Co.). 1880 Beachburg Westmeath Twp. (Renfrew Co.) living on 130 acres on Con 2 Lot 10. PEEVER, R.G. D.D. 1923 Hamilton Ontario (Christian Guardian) Marriages - Cruess - Peever. Miss Annette Peever to Mr. Leigh Saunders Cruess of New York married on Sept 11 1923 at parsonage in Hamilton Ontario by Rev. Dr. R.G. Peever the father of the bride. 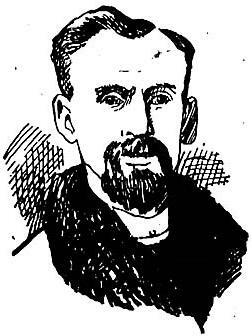 PERCIVAL, William W. was born in PEI and was ordained in 1861, 1870 Florenceville N.B. PERRIN, David A. 1867 Binbrook, 1869 desisted irregularly and was ceased to be recognized as a minister. PHILLIP, J.L. Episcopal, 1856 Stirling/Rawdon Twp. PICKLES, F.H.W. 1870 Berwick N.S. PICKLES, F.M 1870 Digby/Weymouth N.S. PIKE, John M. 1870 Hopewll N.B. PITHLADO, Charles B. 1870 St. Andrew's N.B. POMEROY, William M. was born on July 10 1849 in Newburg, Addington Co. He was received on trial as an Episcopal Methodist in 1868, 1878 Stirling Rawdon Twp. (Hastings Co.), 1878 West Huntington/Moira (Hastings Co.), and twelve other circuits, 1888-1891 Florence (Lambton Co.). (Christian Guardian) Late Rev. William M. Pomeroy - an appreciation. He was born on July 10 1849 in Newburg, Addington Co. Ontario, son of Rev. Daniel Pomeroy. In 1871 he married Miss Sarah Alice Bird of Sydney, Hastings Co. and he died on May 13 1924 at Maidstone and was buried in Windsor Grove Cemetery. In 1918 he retired and settled in Maidstone. He was survived by his widow, 5 sons and 3 daughters - 1 son is Rev. D. Webster Pomeroy (Christian Guardian) 1924 Veteran's Farewell - Rev. William M. Pomeroy of Maidstone leaves widow and several children. POOLE, William Henry LL.D. was born on Apr 3, 1820 in Cty. Kilkenny, Ireland. In 1831 his father and family emigrated to Canada and settled in the village ofCarleton Place, (Lanark Co.). In 1844 he attended Victoria College and he was received on trial in 1846. On June 17, 1850 he married Mary Ann, second daughter of Simon Delong of Ameliasburg, (Prince Edward Co.) and they had five daughters (all died early) and three sons. 1838 Douro Colbourne, 1851 Demorestville, 1853 Yorkville (York Co.), 1855-1857 Peterborough, 1866 Brockwille (Leeds Co.), 1866-1869 Goderich (Huron Co.), 1871 Hamilton (Wentworth Co.), 1874 Toronto, 1874 officiated at the cornestone laying at Dublin Street (Guelph), 1879 Simpson Methodist Episcopal church in Detroit Mich. - immigrated from Ireland in 1831 as an 11 year old, with his family. He became a Methodist Minister in 1846 and spent the next 35 years at 13 different charges around southern Ontario. 1855 officiated at the opening of a new church in Norwood. In 1884 he received a call to the Methodist Episcopalian Church in Detroit, and I think died there in 1896. 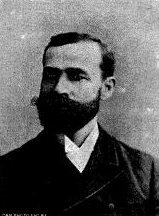 He had five daughters of which two are Martha Jane, born in 1863, and Hannah Mariah, born in 1866. He had 3 sons, Egerton Ryerson Poole, who was a commercial traveler in Ontario, William Henry Poole who became a Doctor in Detroit, and Charles Albert Poole, a druggist in Detroit. POPE, Richard was converted in early life and entered the Wesleyan ministry in 1816. He was almost immediately sent as a missionary to Canada. In 1832 he was forced to become a supernumary through ill health and died later that year in Quebec. PRINCE, John 1845 Charlottetown PEI, 1870 Moncton/Coverdale N.B. Founded on November 21, 1829, this weekly was the organ of the Wesleyan Methodists. It had a tremendous influence among all non-Conformists, pursuing a political middle of the road. Although violently opposed to the privileges of the Church of England, it generally supported the conservative side. Lord Sydenham called it "the only decent paper in both Canadas", Its most famous editor was Rev. Egerton Ryerson, who edited it from 1829-1832, 1833-1835, 1838-1840. Before Confederation, it was also edited by Rev. 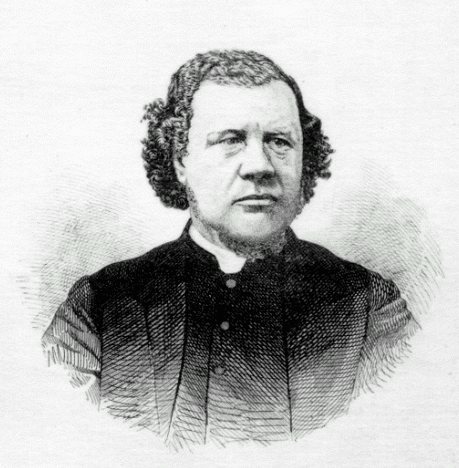 James Richardson, Rev. 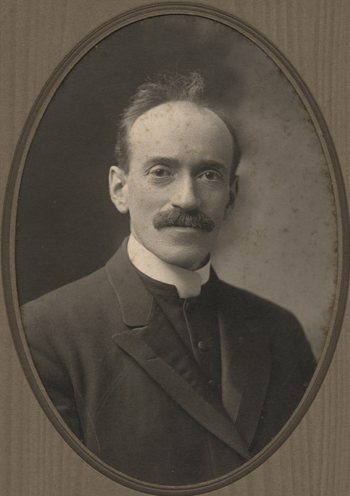 Ephraim Evans, Rev. Jonathan Scott, Rev. 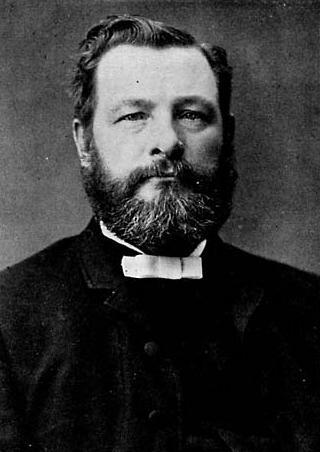 George Frederick Playter, Rev. 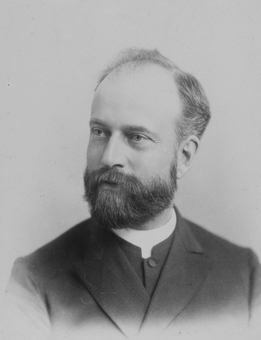 George R. Sanderson, Rev. James Spencer and Rev. Wellington Jeffers. The New Outlook absorbed the Guardian in 1925. Listings of selected obituaries and some articles taken from the Christian Guardian. The United Church Observer is one of the oldest and most respected church publications in Canada. Its origins date back to the first half of the 19th century, when Canadian Methodists decided to found a weekly newspaper. They called it The Christian Guardian and named Rev. 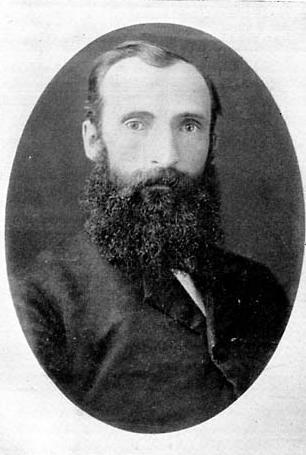 Egerton Ryerson editor. Ryerson earned a reputation as a "doughty controversialist who, by his facile pen, fought the battle of civil and religious liberty." His passion and determination were his greatest strengths � and often his worst enemies: in his first 11 years as editor he was voted in and out of office three times by the Methodist Conference. Starting out with the barest of resources, Ryerson guided The Christian Guardian to a circulation of 3,000 in its first three years. It came to be regarded as the leading newspaper of Upper Canada, a tireless defender of religious freedom, democracy and education. Ryerson went on to serve in government, and is credited with founding the public school system in Upper Canada. 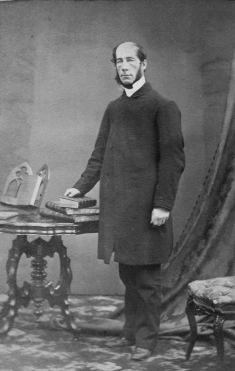 His counterpart in the Presbyterian Church in Canada was Peter Brown, editor of The Banner, begun by the denomination in 1843. Brown�s son George was the paper�s publisher; he went on to found the Toronto Globe, now known as The Globe and Mail, and is a father of Canadian Confederation. When Canadian Methodists, Congregationalists and most Presbyterians merged into The United Church of Canada in 1925, the three denominational newspapers also joined forces as The New Outlook. The publication became The United Church Observer in 1939. In the early 1950s, as the United Church began two decades of unprecedented growth, The Observer shifted from a newspaper to a magazine format. Under a plan that encouraged congregations to give every member a subscription, circulation peaked at over 300,000 readers in the early 1970s. Like the Church Union that brought together three Canadian Protestant traditions, The New Outlook was the amalgamation of long- running Methodist, Presbyterian and Congregationalist journals. In 1939 it was renamed The United Church Observer. The inaugural edition of The New Outlook was published on the occasion of the founding services of The United Church of Canada, June 10, 1925. RANEY, William H. was received on trial in 1865 at Peel (Wellington Co.), Wesleyan Methodist, and was married in 1895 to Retta Barclay who was born in 1870 in Elma, Ontario and died on May 3, 1924 in Ottawa Ontario. 1866 Drayton (Wellington Co.), 1867 Manningsville, 1868 Farmersville, ordained in 1869 in North Augusta, 1870-1872 Admaston Twp. (Renfrew Co.), 1873-1874 Carleton Place, 1875 Osgoode, 1876 Metcalfe, 1877-1878 Lyn, 1879-1880 Winchester, 1895 Pembroke, 1907-1911 South Mountain. (Christian Guardian) The late Mrs. W. Raney - an appreciation, Mrs. Retta Barclay Raney born Elma Omtario, 54 years ago, married 29 years ago Rev. W.H. Raney of Pembroke Ontario and died May 3 1924 Ottawa Ontario, after surgery 4 months prior, funeral May 5, 1924 Ottawa Ontario, survived by husband, 6 sons and 1 daughter: Grant and Miss Grace of Toronto Ontario, Fred, Douglas, Andrew, Wendell and Eric of Pembroke Ontario. RAYMOND, Ari African Episcopal Methodist of Boston, Mass, 1838 was sent to Oro Twp. and in 1848 helped to build a MBE church in Oro Twp. REED, Fitch was born in 1796 and died on October 10, 1871. He was received on trial in 1817 He was an American Methodist Episcopal missionary who was sent to Canada in 1818. 1817 Suffolk N.Y., 1818 Sagg Harbour N.Y., 1819 Ordained in Dunham C.E., 1820-1822 York and in 1821 the Rev. Fitch Reed, of the Genesee conference, was appointed to York, (now Toronto,) in Upper Canada, with Rev. Kenneth M. K. Smith as his helper. Their mission extended into the settlements in the neighborhood of Toronto, which, at that time, were new, poor, and destitute of the gospel. 1822 returned to the USA, He visited the Wesleyan Methodist Conference of Canada, in Toronto, in June 1864. 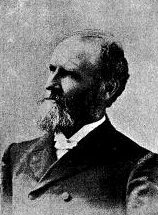 RICE Samuel Dwight D.D. was born in 1816 in the United States and was received on trial in 1837-1839 at Mirimachi N.B., Wesleyan Methodist, 1840-1841 St. John South N.B., 1842 Sackville Wesleyan Academy, 1843-1846 St. John West N.B., 1847 received at Toronto Conference, 1847-1848 Toronto West, 1849 Muncey Industrial School, 1850-1852 Kingston Chariman of Kingston District, 1853 Treasurer Victoria College Cobourg, 1854-1855 Co-Chairman Kingston District, 1854-1856 Governor and Chaplin of Victoria College, 1857-1861 Hamilton, 1863-1877 Governor of Female College in Hamilton, 1871 St. Patrick's (Hamilton), 1878-1879 St. Mary's 1880 Winnipeg Chairman, The honorary degree of D.D. was conferred upon him by Victoria University in 1867, Secretary of Conference 1855, President of Conference at London in 1873, and at Hamilton in 1874, Delegate to the First General Conference Toronto 1874, Delegate to the General Conference of 1878, Chairman of District 1879, Elected Vice-President of General Conference 1878. RICHARDSON, P.L. D.D. (Christian Guardian) Marriages - Beck - Richardson. Vera Evelyn Richardson, only daughter of Mrs. P.L. Richardson and the late Rev. Dr. P.L. Richardson, to Stephen Martin Charles Beck, son of Mrs. M.D. Beck and the late Mr. M.D. Beck of Westmount. They were married on Sept 12 1923 at residence of bride's mother in Montreal West. RICHARDSON, William R. was born in 1824 in Hull, Yorkshire England and was the son of John Richardson and died in Toronto July 12, 1905. 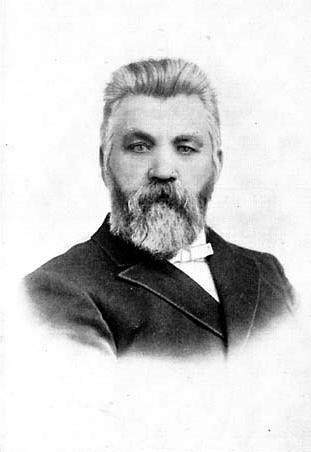 He was married in 1856 to Anna M. Russ, who was born in Grimsby, daughter of Samuel and Elizabeth (Terryberry) Russ, natives of Canada and they had three children. He was received on trial in 1851. 1851 Humber, 1852 on trial, 1853 Binbrook, 1854-1855 Grimsby, 1858 Cartwright (Durham), 1862 Camden East, 1864 Queenston, 1869 Point Abino and Port Colbourne, 1871 Verulam (Victoria Co.). 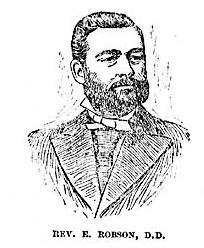 He retired from his ministerial work in 1888, and from that time until his death lived in Toronto. RIGBY, Walter was born in 1845 in Hamilton, Ontario and was received in 1868 and died on June 11, 1922. 1869 Tilsonburg, 1871 Saltfleet (Wentworth), 1871 Thorold, (Christian Guardian) Rev. 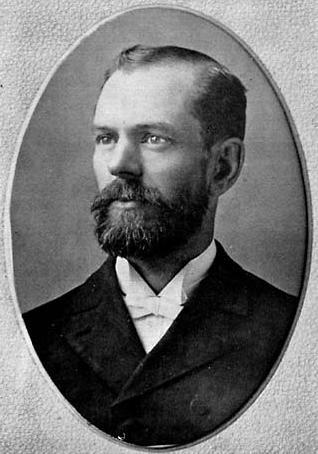 Walter Rigby born Dec 29 1845 near Hamilton Ontario and died Jun 11 1922 London Ontario. In 1921 he was living with his daughter Mrs Frank White of London, Ontario and his wife predeceased him in January 1922. ROBINS, Paul was married to Mary Ann Taylor who died in 1852 and she entered the Bible Christian ministry in 1832, and served in home circuits for over twenty years until her marriage to the prominent minister Paul Robins. The couple emigrated to Canada. ROGERS, Thomas M.A. was born in PEI and was ordained in 1865, 1870 Yarmouth East N.S. ROSS, G.E. 1922 Peterborough Ontario (Christian Guardian) Marriages - Mollard - Ross married on Oct 25 1922 at Peterboro Ontario, Ruth M. Ross the only daughter of Rev. G.E. and Mrs Ross to W. Melville Mollard M.D. son of Mr and Mrs Edward Mollard of Balmoral Manitoba. The father of bride performed the ceremony. ROWE, William B. Primitive, 1865 Mt. Forest (Grey Co.) 1866 Toronto Circuit living at 105 Bond St.
RYCKMAN, Edward Badshaw M.A. D.D. graduated Victoria College in 1855 and was received on trial in 1856 at Yonge Street, 1856-1857 Yonge Street Circuit, ordained in 1858-1859 at Montreal, 1860-1862 Odelltown, 1863-1865 Huntingdon, 1866-1868 Kingston, 1869-1870 Chairman Stanstead, 1871-1872 Chatham (Kent Co.) Chairman, 1873-1875 Governor Dundas West Collegiate Institute, 1876-1878 Norfolk St. Guelph (Wellington Co.), 1879-1881 Brantford - Wellington Street, 1906 Almonte, A graduate of Victoria University - B.A., 1855, Valedictorian M.A. 1868, Journal Secretary of Conference 1867-1871, Delegate to First General Conference Toronto 1874, Chairman of District, 1876 to 1880, President of the Conference 1878, Delegate to the General Conference Montreal 1878, Honourary degree of D.D. was conferred upon him by the University of Victoria College May 1879, Delegate elect. to Ecumenical Congress held in London England September 1881.